Heat oil and add mustard seeds. When it splutters, add whole chilies, curry leaves and fenugreek powder and stir. Add onions and stir for 2 mins. Add bitter gourds and stir for few minutes. Add mangoes and mix well. Add chili powder, turmeric powder, salt and green chilies. Mix well. 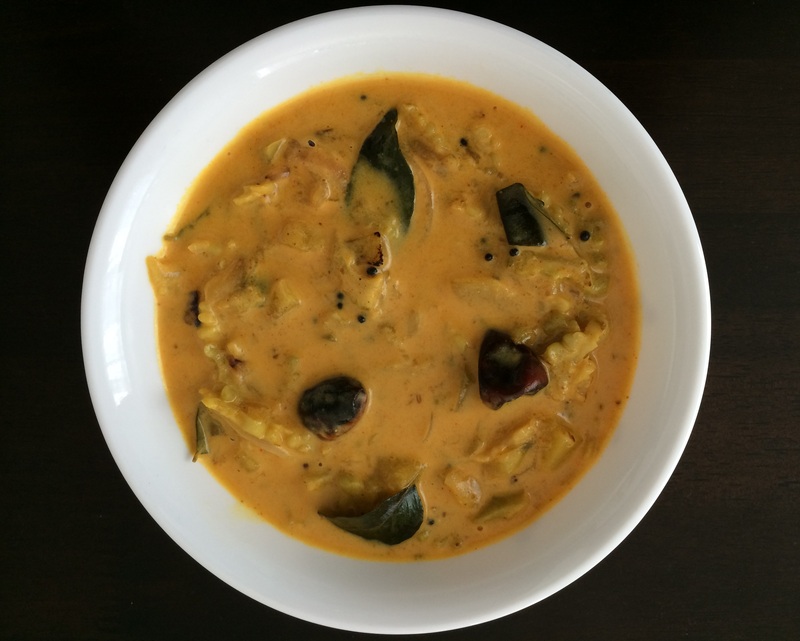 Add thin coconut milk and let it simmer till the bitter gourd and mango pieces are cooked. Add thick coconut milk and turn the heat to low. Simmer for few min. Add jaggery syrup to adjust bitterness. Add roasted cumin powder mix and take off fire. Notes: Go for fresh coconut milk if you can. Otherwise use 2 tbsp coconut powder for thin milk and 4 tbsp for thick milk mixed with warm water. 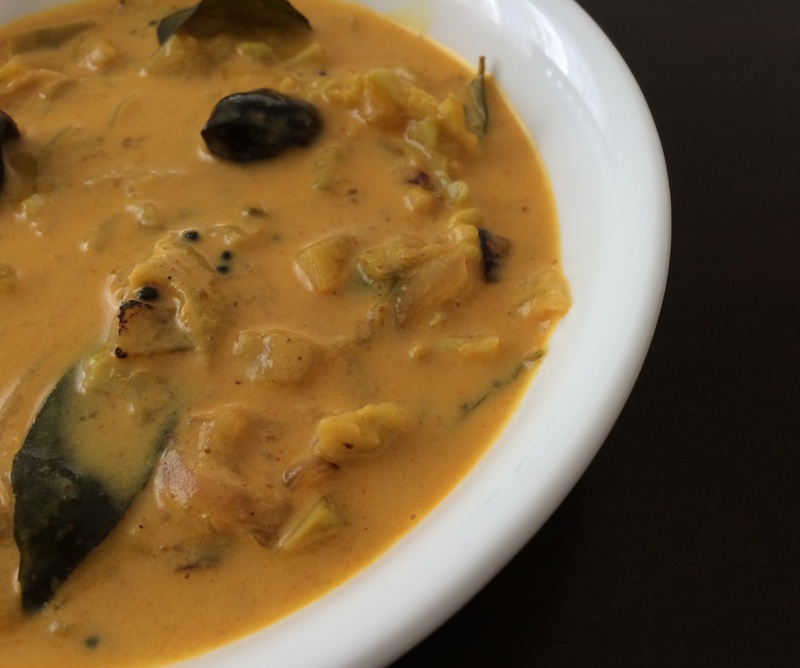 This entry was posted in Vegetarian Curry and tagged bittergourd, bittergourd curry, bittergourd with coconut milk, pavakka curry, travancore bittergourd curry by PriyaBaby. Bookmark the permalink. I would never have imagined we can combine bitter gourd and mango. The recipe sounds wonderful. Will try it soon!